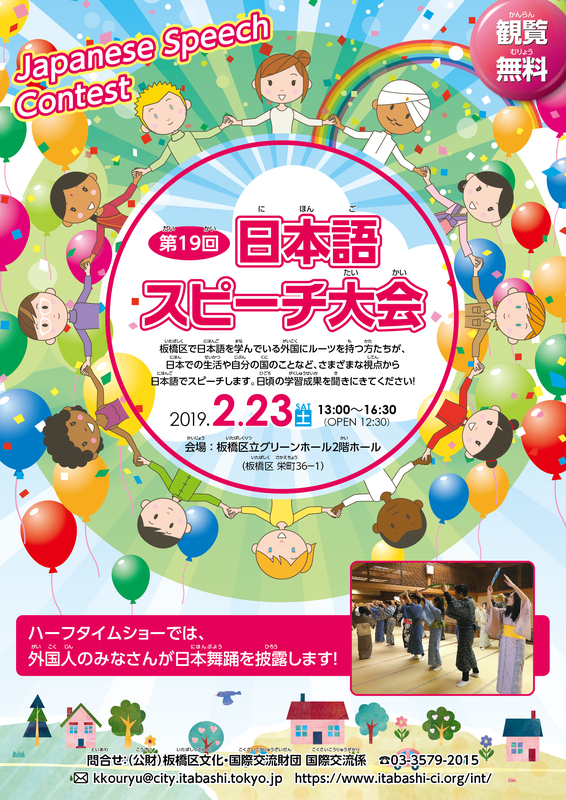 Foreign nationals who are currently studying Japanese make speeches in Japanese about their living in Japan, surprising experiences they had different from their own countries and other interesting subjects of their choice. 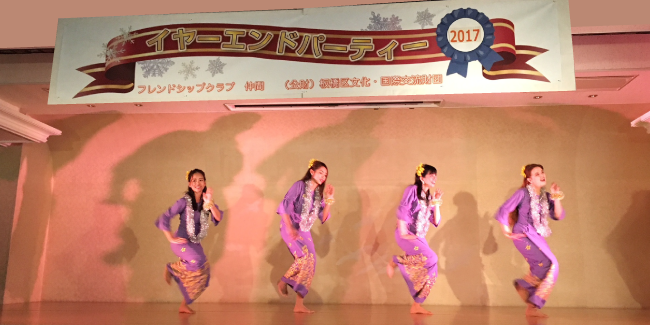 Between the two sessions, foreign nationals who learned Japanese classical dance perform their dance on stage as Half –Time Show. *No reservation required. Come to the Hall directly.